High excitement in the club this week as the members prepare for our Fresher’s Night Out in Costello’s Tavern! The UV Paint Party is going to be EPIC! 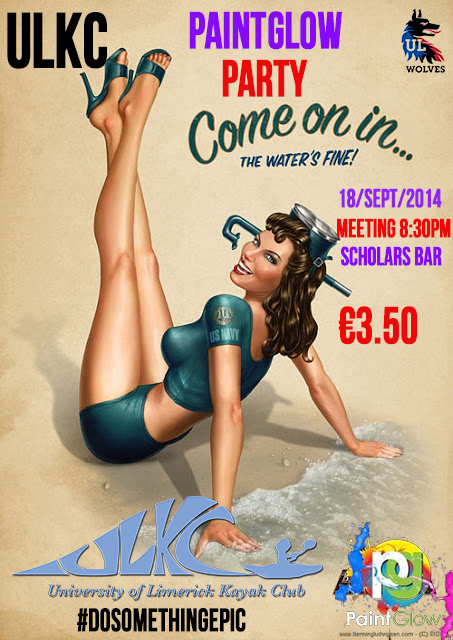 Meeting at Scholars @8.30pm for fun and games before we head to Costello’s for a fun filled night! To those who have tickets, we’ll see you there! And to everyone else, there’s still a handful left! So get in quick!